129 ACRES BROWN CO. MECA HUNTING AND FISHING RANCH. Here is a turn key show place! The hunting property has a 2017 2400 sqft custom 3 bedroom 3 bedroom lodge and a 2017 720 sqft custom 1 bedroom 1 bath home on it. This place it all high fenced with around 200 head of exotics from blackbuck, fallow deer, axes deer, aoudad sheep and huge genetic whitetail deer. 179 +/- Acres....Hunting Ranch with 4/3 Home, Guest house, and More! This 179 +/- acres is an great hunting ranch with a 4/3 home, guest house/gameroom, game processing room, storage buildings, and much more. The ranch is ready to enjoy from day one. The abundant game will keep the most avid hunter satisfied and there are 60 acres under high fence with axis and fallow deer. 250 +/- Acres located in Mills and Hamilton counties. This property is truly a great combination use property. There are grain fields on the front side, with grass and cover on the back half of the property. Washboard creek runs through the back of the property with a nice long hole of water. 167 ACRES BROWN CO. W/ 2954 sqft. 4 BEDROOM 2 BATH STONE HOME! GREAT HUNTING!! Come take a look at a place that has it all. It has a newly updated home with a swimming pool still on top of the highest point on the ranch. You can come enjoy this place and get away from all the hustle and bustle to come to a place that is very quite and peaceful. 69.71 ACRES BROWN CO. HIGH PEAK RANCH WITH HOME! 69.71 ACRES BROWN CO. NEWER HOME! AWESOME VIEWS! Here is a great place to call home that is a diamond in the rough being one or the highest pikes in Brown Co with breath taking views. This property has a 2013 two story 2550 sqft 3 bedroom 3 bath house with an extra room that can be made into a 4th bedroom. 173 ACRES AWESOME HUNTING PLACE! This hidden ranch is west from Morgan Mill by way of CR163 to CR 162. 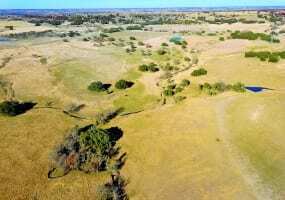 Access to the ranch is off CR 162 onto a deeded easement approximately 1.5 miles in length. Lands is fenced in with good cattle fence with a cross fence near the center of the property. Seclusion without remoteness is what this ranch is all about. Nice multiuse property located North of Early in the Owens community. Great hunting with nice whitetail, turkey dove, quail, hogs, and varmints of all kinds. Great cattle property also with coastal and native grasses. 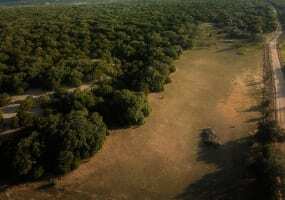 Lots of tree cover with Live Oak, Red Oak, Mesquite and lots of shinnery. There is a 10 acre soil conservation flood control lake and another tank on the property. This 6.2 acre property has it all. If you are looking for a turn key property that all you have to do is move in and enjoy, take a look at this one. The pictures doesn’t do the property justice, it is one you have to see in person to truly appreciate. If you love to entertain, or just want your own private retreat, this property has it all. This 150 +/- acres is the ideal hunting and recreational ranch located in a great area of Mills county. The ranch is completely fenced and has county road frontage. The terrain is varied with good elevation providing great views of the countryside. Several draws and waterways wind through the ranch adding diversity and character to the land.